Jordy Wolfand '07 is a graduate student at Stanford University, pursuing a PhD in environmental and civil engineering in a group headed by Professor Richard G. Luthy. Her group is part of ReNUWIt, the NSF Engineering Research Center for Re-inventing the Nation's Urban Water Infrastructure, which includes researchers across different disciplines at Stanford, UC Berkeley, New Mexico State University and the Colorado School of Mines. Wolfand spent last summer at the Colorado School of Mines, where she has a co-advisor, Professor Terri S. Hogue, and she will likely go back this coming summer. Wolfand's interest in environmental research began at Blair, where Dr. Torrence helped her to find an internship with Professor Andrew S. Kane at the University of Maryland (now at the University of Florida). Wolfand's Senior Research Project studied the effects of synthetic estrogen on minnows, finding that very small amounts could change male minnows to female. This research was later incorporated into a 2009 paper published in Environmental Toxicology and Chemistry (PubMed). At the 2007 Montgomery County Science Fair (Silver Chips), Wolfand's project was recognized by the Water Environment Federation, and she won the Stockholm Junior Water Prize for the State of Maryland. Wolfand was invited to the Junior Water Prize national competition, where she made connections with others in the research community that lasted for many years afterwards - she later returned to intern with the Water Environment Federation and the Junior Water Prize. After graduating from Blair, Wolfand attended Tufts University, enrolling in the environmental engineering program. She was active with the crew team, engineering education, and lab research. It was a busy schedule, and after earning her degree, she admits that she felt "burned out." Wolfand spent the months after graduation working at a summer camp and traveling before taking a job at an environmental consulting firm where she worked modeling stormwater runoff and using “smart” systems for water management. Wolfand explains that this field is sometimes called "green infrastructure" or "low impact development," which seeks to treat pollutants and provide flood control with modern infrastructure that also has urban aesthetic benefits. She applied to graduate school hoping to continue working on stormwater issues, and she was very excited to be accepted into the ReNUWIt group at Stanford in 2013. After finishing the requirements for her Master's degree in 2015, Wolfand has been concentrating on research. Her personal focus has been looking "to bring nature-inspired technologies into urban stormwater management." The results of her experiments using mushrooms to degrade chemical pollutants (commonly found in pesticides in stormwater runoff) were published in 2016 in Environmental Science: Processes & Impacts (rsc.org). She has more recently been working on large-scale modeling of stormwater management in Los Angeles and San Diego. Wolfand credits the Magnet Program for giving her opportunities to do open-ended research in high school - "I didn't have another opportunity to do research like that until senior year of college - and now I am doing it every day!" Wolfand has also remained active in public outreach and education, volunteering at museums and with high school students, and making educational videos. Her video about reclaiming drinking water from stormwater won a competition run by the University of South Florida in 2015. She is the treasurer for the ReNUWIt student leadership committee, and she was recently selected to participate in the Rising Environmental Leaders Program (RELP) of the Stanford Woods Institute for the Environment. 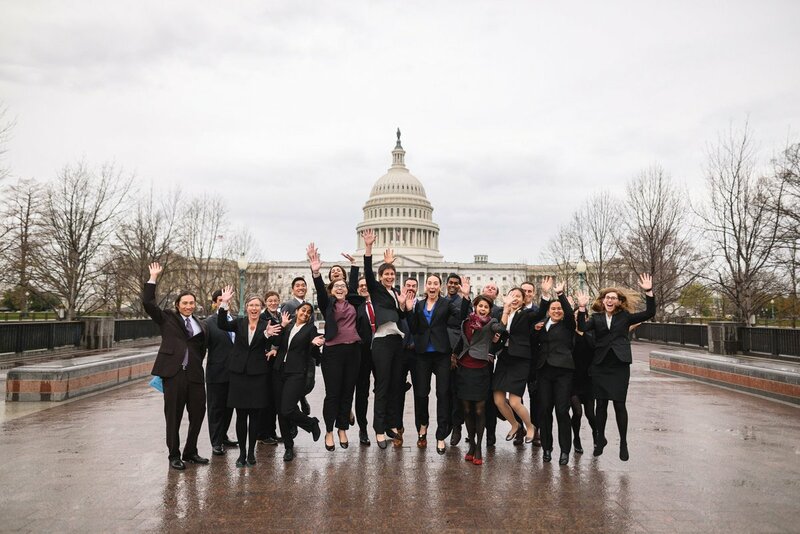 As part of RELP, Wolfand had the opportunity to spend a week in Washington, DC at the end of March, meeting with Congressional staffers and representatives of non-governmental organizations to "get a feel for what science policy is all about." Despite the turbulent political situation, Wolfand left DC with "some renewed optimism about science-based policy." She also enjoyed learning about possible careers in science policy, but she doesn't see a career-change in the near future - "I actually walked away from the program realizing that I really do like the science." One important lesson she took away from her week in DC was that "scientists need to be better communicators," whether that is through letters to the editor, on Twitter (@jordy_theshorty), or networking with people outside of the scientific community. Recognizing that scientists have to walk a "fine line" between the impartiality required for research and the partisanship of political advocacy, Wolfand is "trying to figure out how to get involved while still doing basic research." She plans to join the March for Science in San Francisco, RELP is organizing a follow-up program in Sacramento, and in the meantime she is hoping to finish her PhD in another year or two. Also in this issue: an interview with Hans Arora '01, a medical doctor who also recently spent time on Capitol Hill.